Nyon was our first stop in Switzerland. 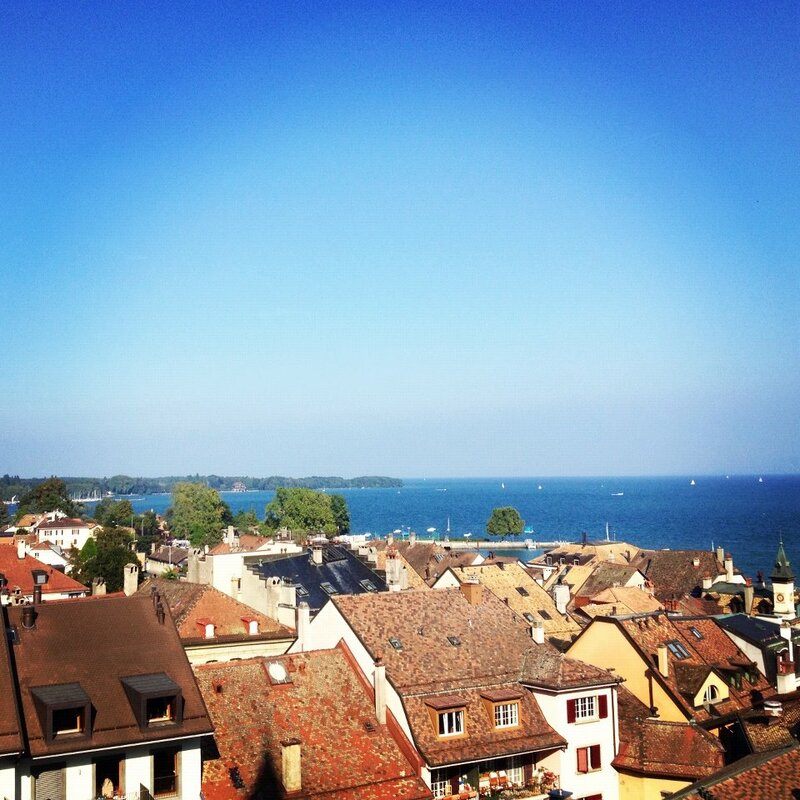 Nyon is a picturesque little city right on Lake Geneva and it is absolutely beautiful. Because it is so close to France, there is a strong French influence on the cuisine. 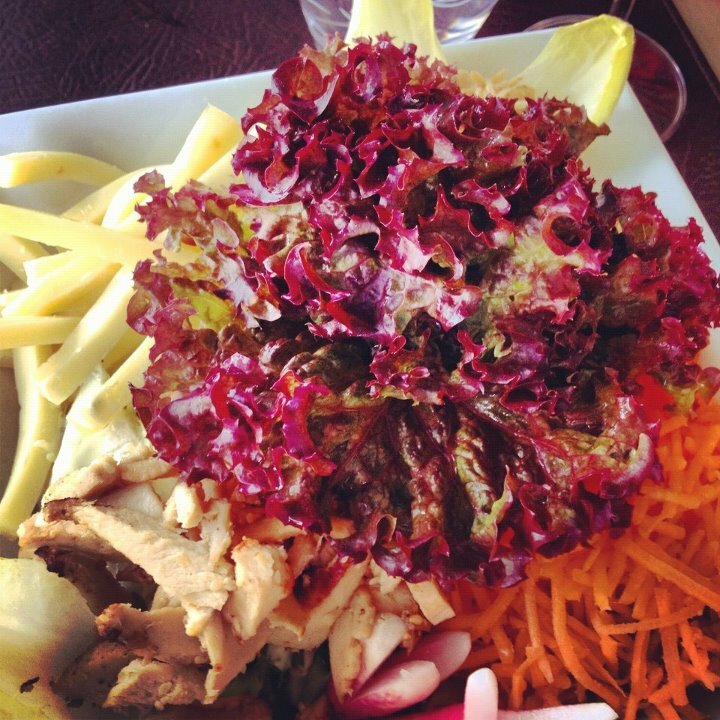 There was a lot of variety in the food there: fresh seafood from Lake Geneva, gorgeous salads with amazing ingredients and several creperies as well. Overall, the food was extremely fresh and always very thoughtfully prepared. Here are some of our favorite meals. 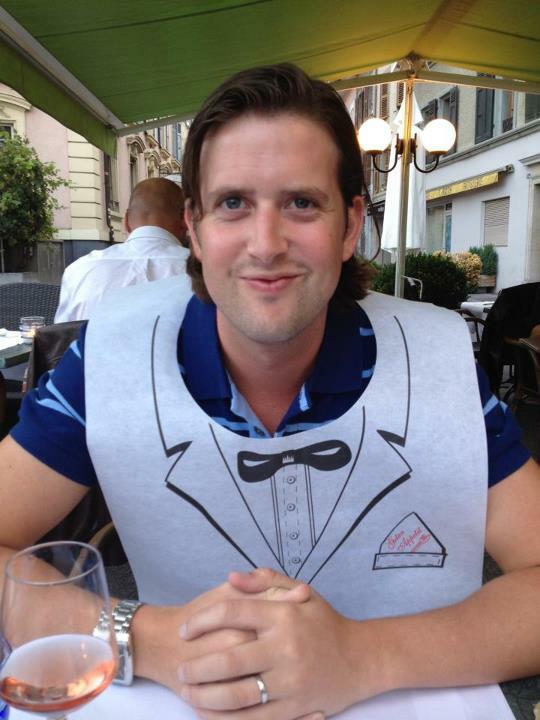 This was our first meal in Nyon. It was quite funny because Gareth suddenly realized he had some brushing up on his French to do as soon as he ordered his meal. Gareth was under the impression he ordered a normal, everyday steak, but our waiter looked slightly surprised at his order and then brought him a bib. Gareth grew quite concerned while we waiting for our meal (as you can see below.) 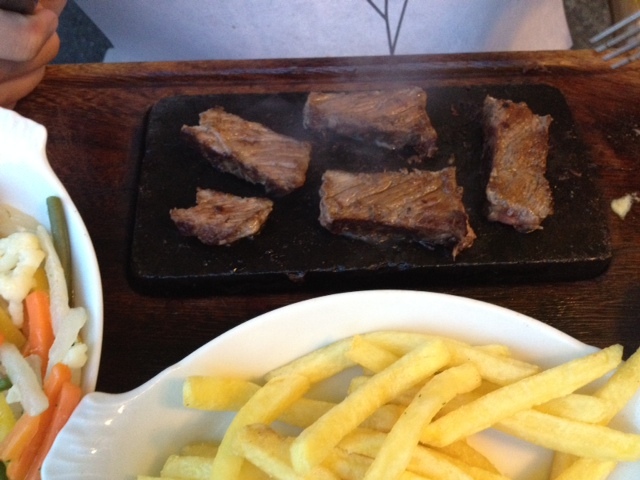 As it turns out, he actually ordered a massive steak that you had to cook yourself on a hot slate rock. It ended up being delicious, so he was able to overcome the embarrassment of wearing a bib. I ordered fresh perch from Lake Geneva that was accompanied by a big pile of pomme frites. The perch was absolutely amazing and perfectly cooked. There was quite a lot of butter in the dish, as there often is with French cooking, but the herbs and citrus gave it a great balance. Gareth loves crepes and we were lucky enough to have this creperie right across from our hotel. I decided I wanted a dessert crepe so decided to go with a salad for my entrée. 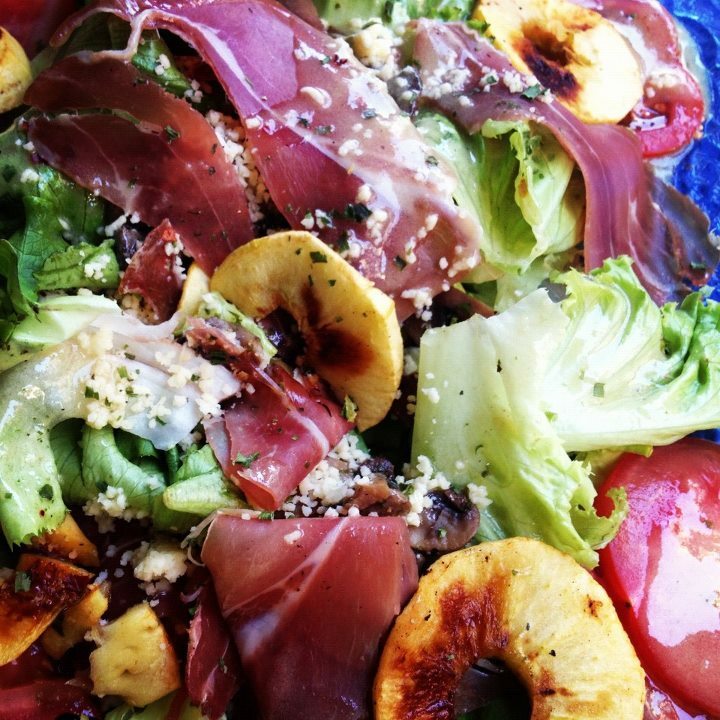 This salad was topped with grilled apples, prosciutto, feta cheese and a tangy vinaigrette. It was a really unique flavor with the sweetness of the apples and the savory ham, cheese and dressing. I followed up my salad with more apples! 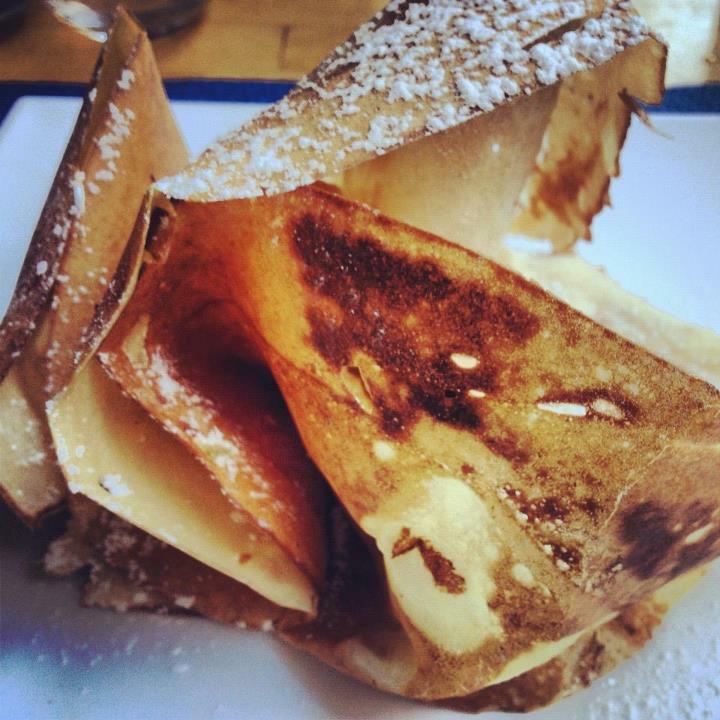 I had a crepe filled with apples. It was subtle, sweet and a great ending to this meal. The presentation wasn’t too shabby, either. 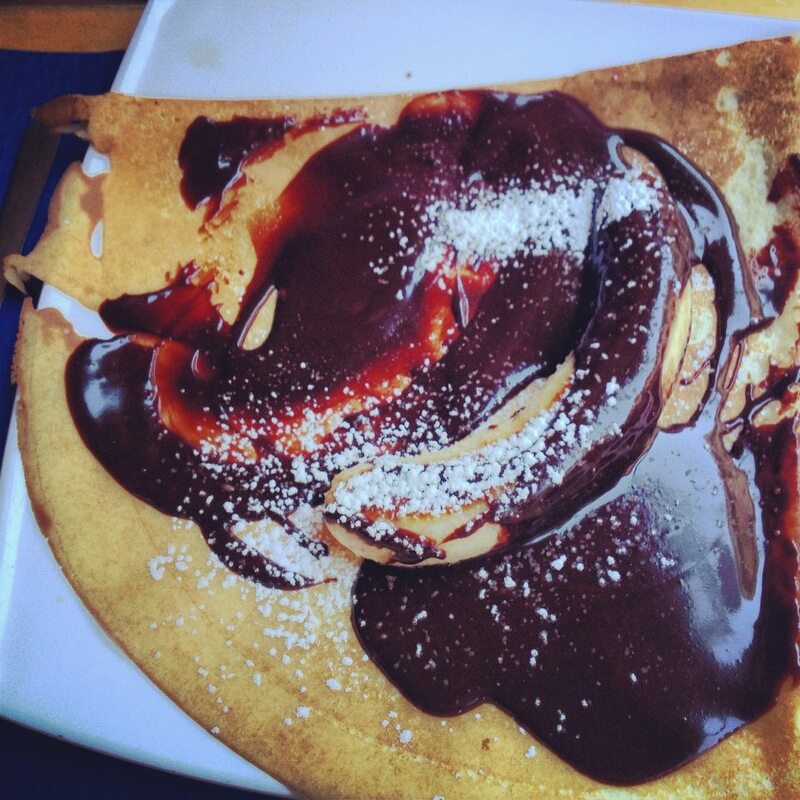 Gareth ordered his absolute favorite crepe, Nutella and banana. This is possibly one of the world’s best combinations. Cafe Le Bateau Ivre, Yvoire. While in Nyon, we took a ferry ride over to Yvoire, France for a day trip. Although this food is technically not in Nyon, it was still a good representation of the food we had on the trip. Yvoire is a small medieval town with old buildings, cobblestone streets and lots of shops and restaurants. 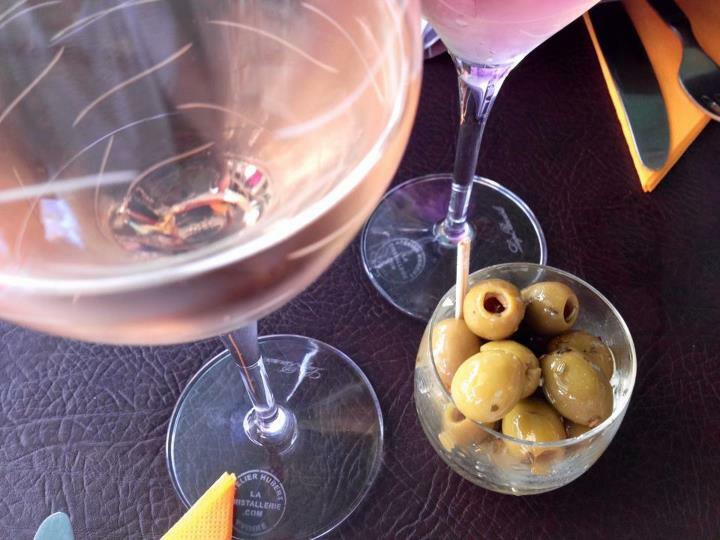 We started off this meal as we always did on our honeymoon, with some rosé wine and olives. 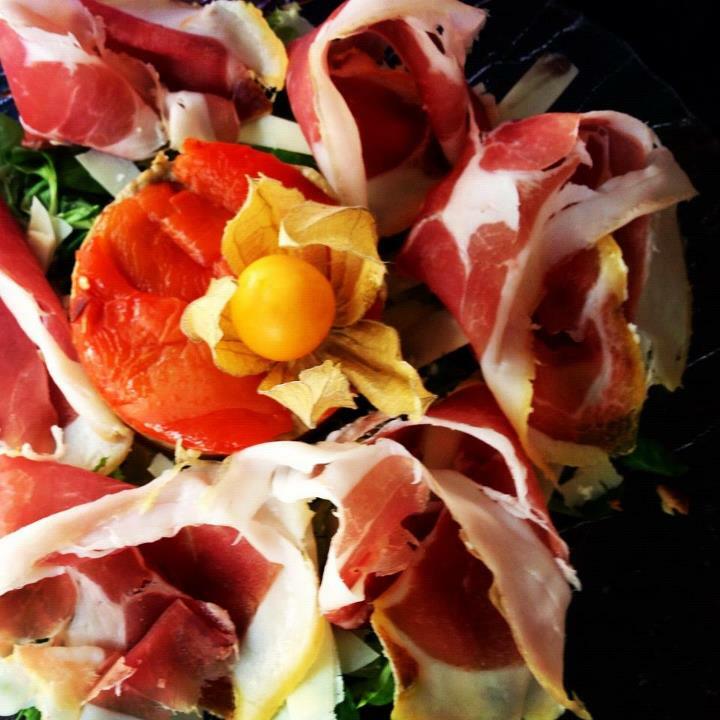 Gareth ordered an eggplant, roasted red pepper and prosciutto salad that was layered similarly to a lasagna would be. It was light, fresh and obviously gorgeous. Although this salad was filled with common salad ingredients, this salad was especially fresh and beautifully presented. It had chicken, cheese, carrots and a variety of lettuce and was topped with a curried dressing. 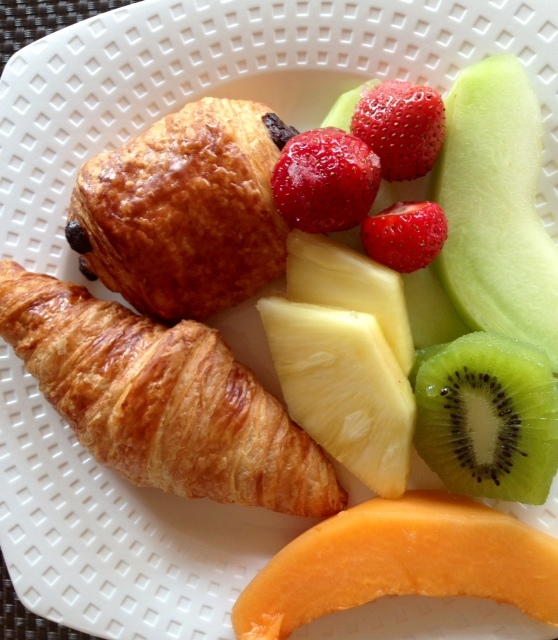 Our breakfasts in Nyon were so simple, but so good. Included in the hotel stay at the Beau-Rivage, the buffet was filled with fresh fruits, meats, cheeses, breads and pastries. I always went for the meat and cheese, while Gareth always went for the pain au chocolat and croissants. It was a great way to start the day. This wine bar was also located right by our hotel. 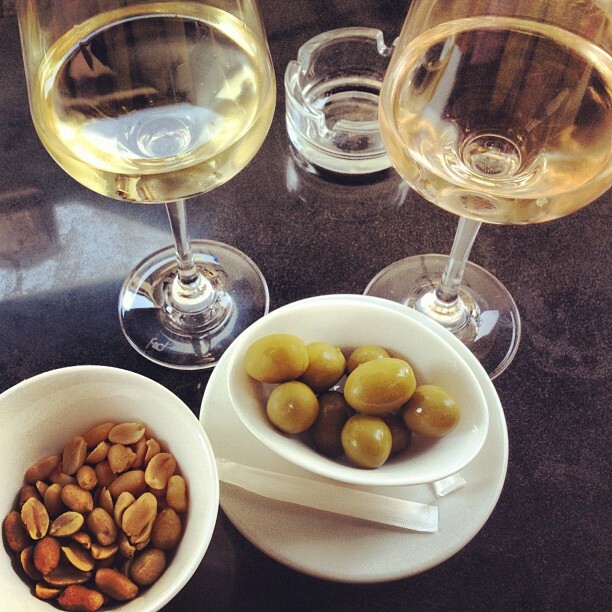 They have an extensive list of wines, great outdoor seating and very friendly service. Not only that, but you also get olives with your wine, of course! ← Honeymoon Part 2- London.